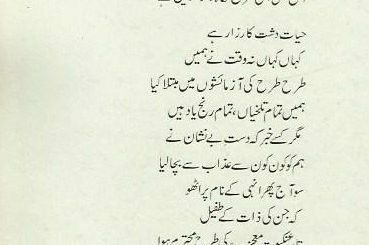 This Persian poem by Allama Iqbal’s is inspired by German poet Heinrich Heine’s Fragen [Question in German]. It has philosophical nuances around the meaning of life and energy. The vast ocean exclaims that she has spent many years, yet she doesn’t know what she is and what is the meaning of her life? 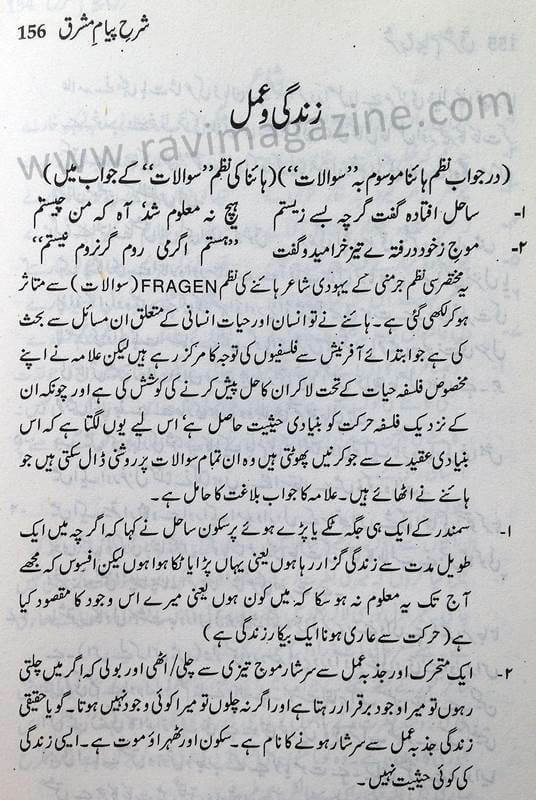 All poetry by Iqbal is in Public Domain as he never copyrighted it. 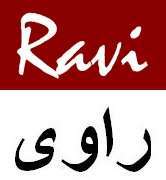 It can be reproduced and distributed without permission of Ravi Magazine.